To use an ICOCA card for riding the train, simply touch the card to the card-recognition area on the automated ticket gate. Touch the card again after getting off the train. The fare will be deducted automatically. ICOCA cards can be used not only for traveling by train but also for shopping purchases in participating shops in the station and around town. When purchasing your merchandise, tell the shop staff that you'd like to pay using ICOCA. 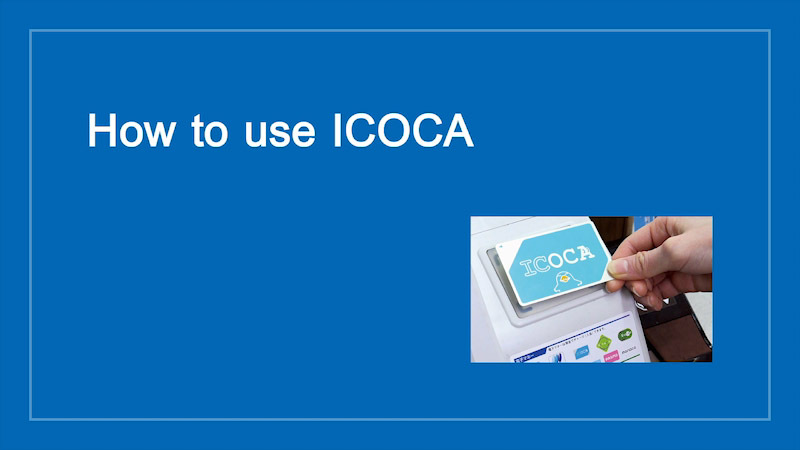 Then, simply touch the ICOCA card to the device at the register. A double beep sound will notify you that the transaction is complete. 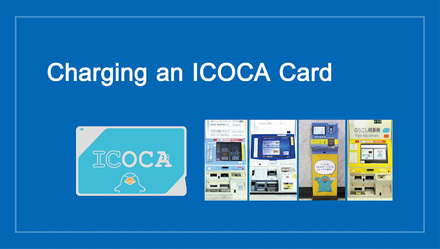 Because there's no change involved, purchasing merchandise with an ICOCA card is convenient. A list of major stores that accept ICOCA is available here. ICOCA is also offered at more than 300,000 shops across Japan. If your ICOCA card balance gets low, you can easily charge the card from automated ticket machines, charge machines, and fare adjustment machines inside ticket gates for repeated card use. ICOCA cards can also be charged at local convenience stores. Just tell the staff you'd like to charge your ICOCA card. Press button to change the display language to English. *Screens show charging with an automated ticket machine. Select "Charge / Review History." Select the amount to charge. *Up to 20,000 yen can be charged to a card. Place the ICOCA card in the specified location. After inserting the cash, do not remove the ICOCA card until you hear the beep. Credit cards cannot be used to charge ICOCA cards. Let JR-WEST help make your trip a pleasant one.